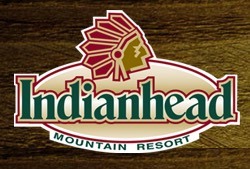 Indianhead Mountain is home to The Big Chief Natural Terrain Park for advanced riders. Blackjack Mountain is home to two terrain parks. The Just Cuz Park, with small features for those that are just learning parks, and the Narrow Gauge, which is serviced by rope and handle tow and has larger rails, boxes, and jibs for more advanced riders. Blackjack Mountain - Big Snow Resort added a new photo. Here’s what’s happening right now in our 3 freshly rebuilt parks!